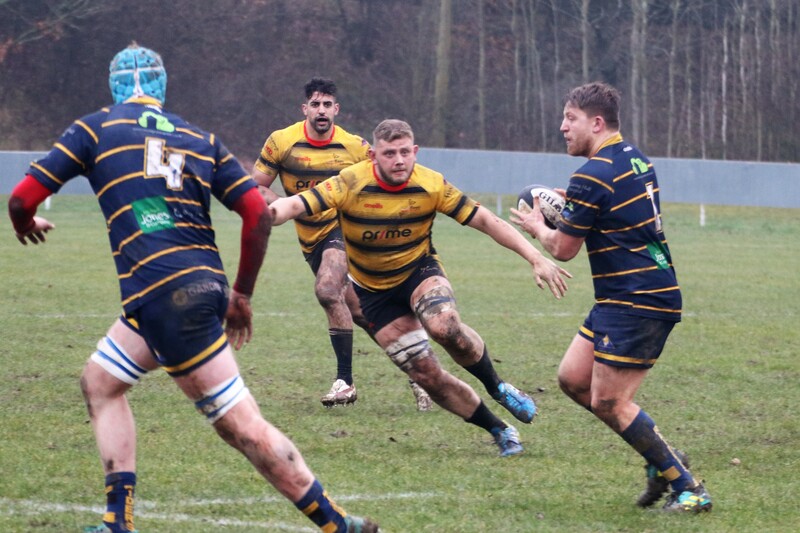 Game nineteen of the season saw Raiders on the road north for their first ever visit to Birmingham & Solihull RFC (The Bees). Not for the first time this season selection had not been straightforward. 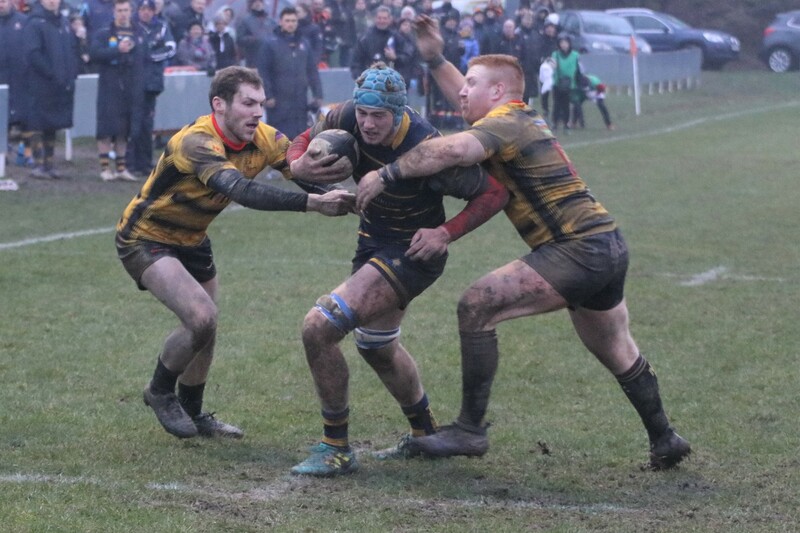 Rob Cuffe, Harry Barlow, Harrison Sims and Kieran Sassone were unavailable after last week’s game with Clifton and with skipper Matt Walsh still side-lined with injury the makeup of the squad changed again with the inclusion of Tom Miller, Tom Gwyther, Ben Holt and Rhys Litterick. 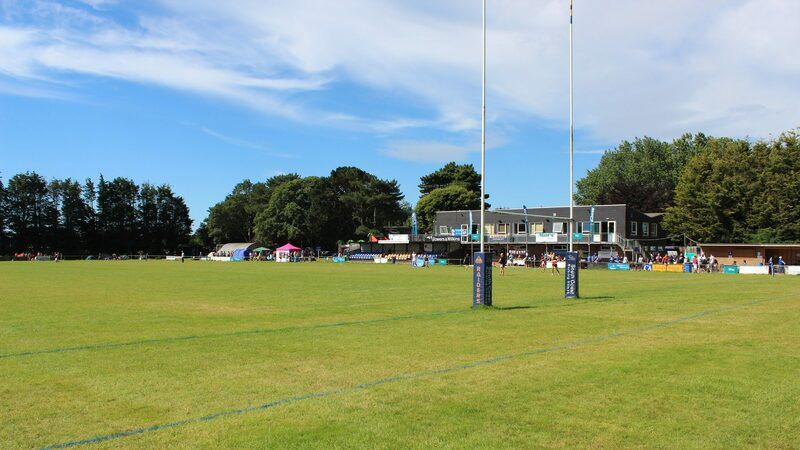 During Friday night and Saturday morning it rained continually causing the pitch to be very heavy underfoot. Fortunately the rain eased off prior to kick off but the temperature remained just a few degrees above freezing. Bees kicked off and a scrappy game got underway. Conditions didn’t help to make the game any kind of spectacle. During the first fifteen minutes no real chances were created. 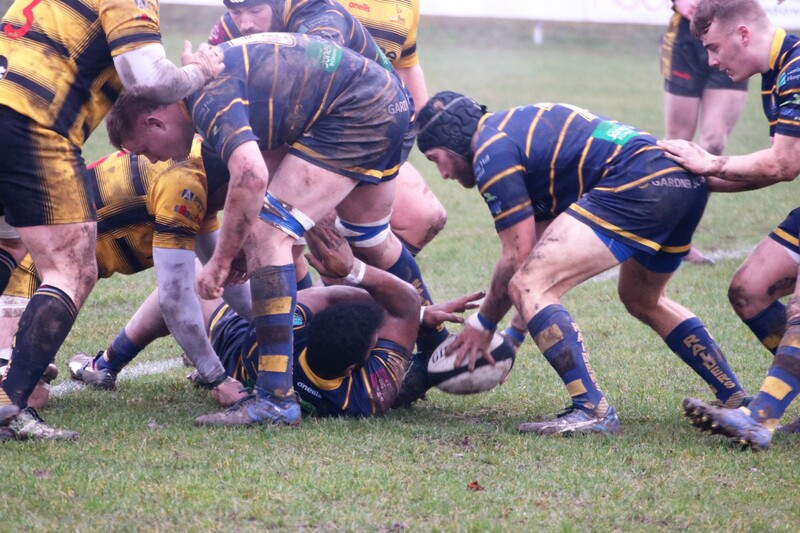 Scrums were evenly contested and defences on both sides were dominant. 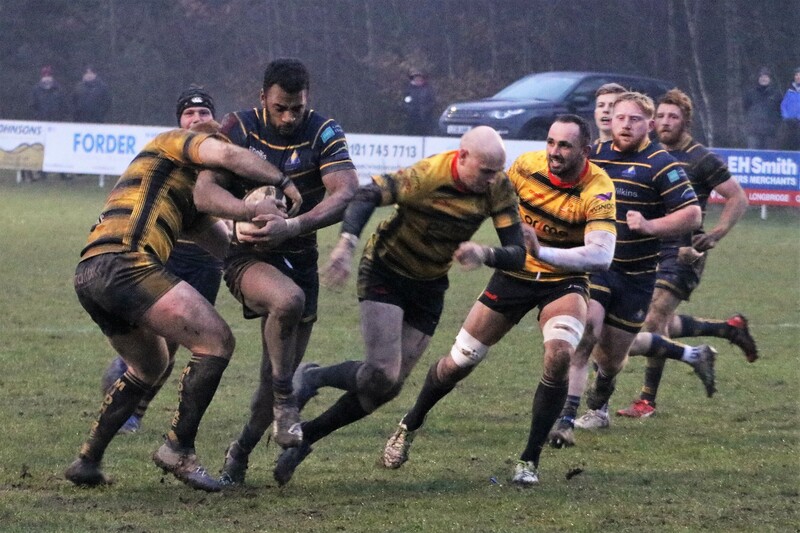 The Bees pack was powerful and conditions suited their driving style of play. 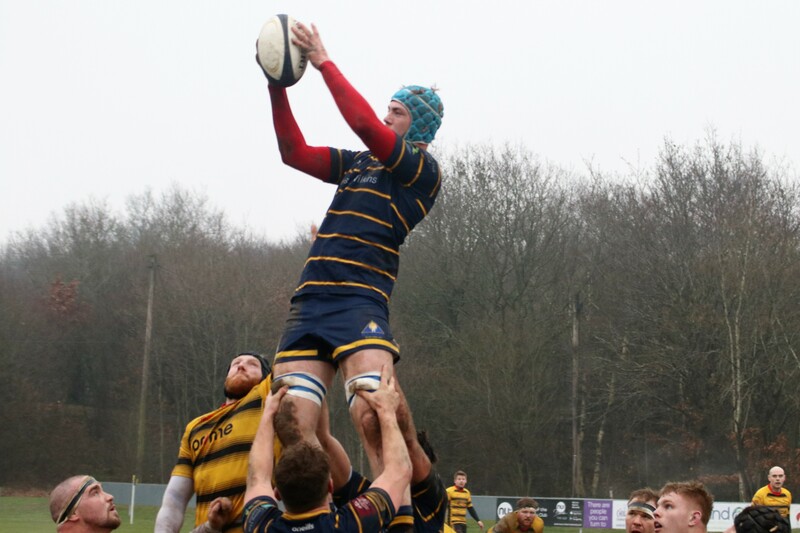 Raiders thwarted the home side’s attack confidently causing knock-ons and turnovers at regular intervals. The first score of the day came after eighteen minutes when the home side kicked a penalty to take a 3-0 lead. This was shortly followed by an unconverted try from a well-executed driving maul. The home side now having an 8-0 lead at the end of the first quarter. The rest of the half continued to see the defences in control of the game and the wingers getting cold. Matt McLean nearly set the visitors up for a score when he fielded a high kick in his own half and raced through the oncoming defenders, his chip over the last defender bounced kindly for Bees and they were able to clear their lines and thwart the Raiders’ attack. 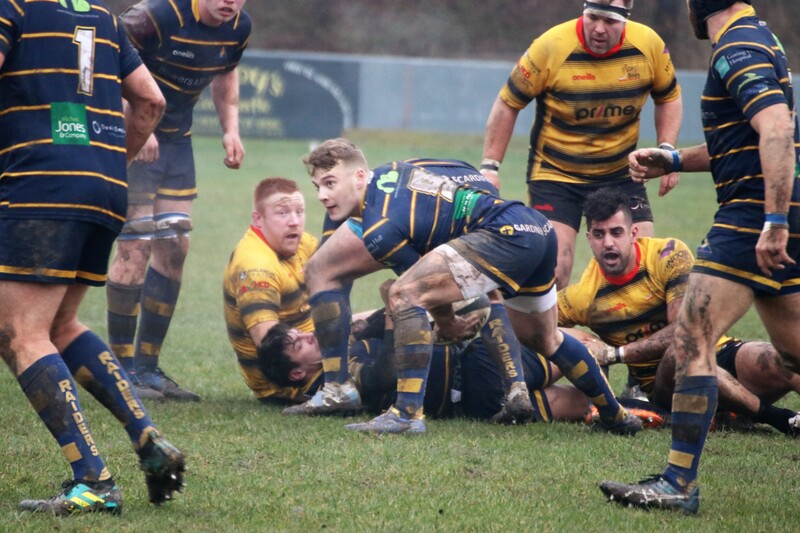 Raiders restarted the game after the break and more attritional rugby followed. The home side kicked another penalty after three minutes to extend their lead to 11-0. The visitors looked quite capable of winning this game but inaccuracy and wrong decisions at vital moments prevented them from making any inroads into the home side’s lead. 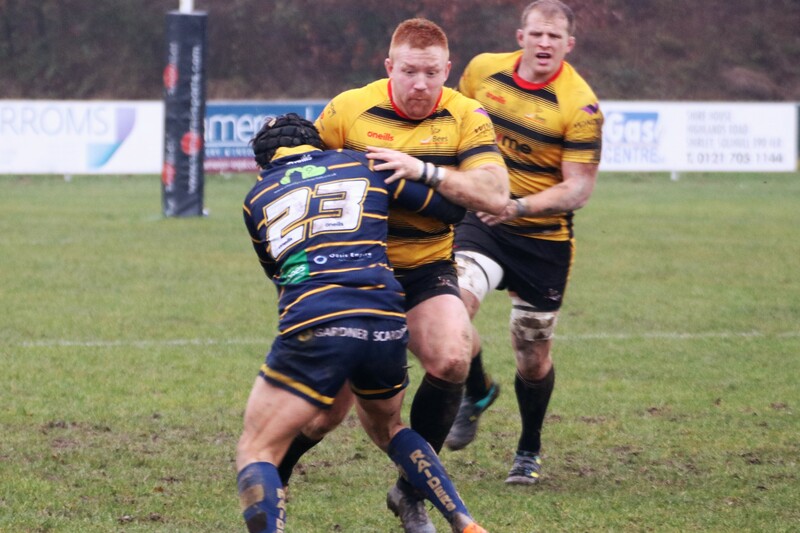 For long periods in the second half Raiders controlled possession and spent a great deal of time inside the Bees’ twenty two. The home side must be given credit for the excellent defence they put up throughout the half. 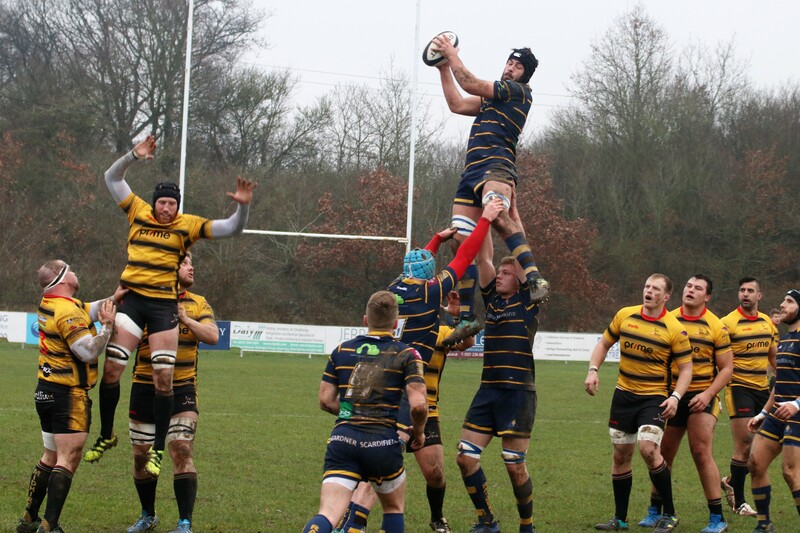 Raiders were dominating territory and possession but couldn’t cross the Bees’ try line. Chances were created but a combination of errors and good defence prevented the visitors getting on the scoreboard. To rub salt into the wounds it was Bees who scored the final points on the strike of full time. 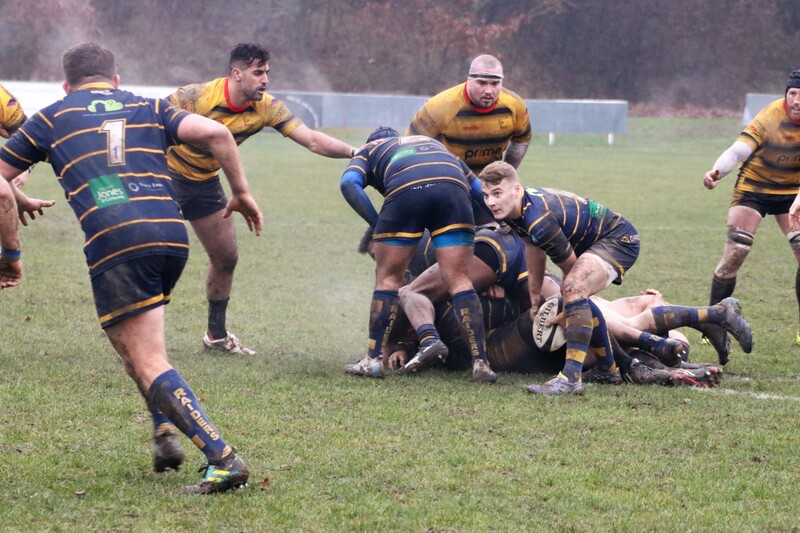 A very frustrating game for Raiders, they had plenty of ball and territory but lacked the accuracy and patience to take advantage in the very unhelpful conditions. 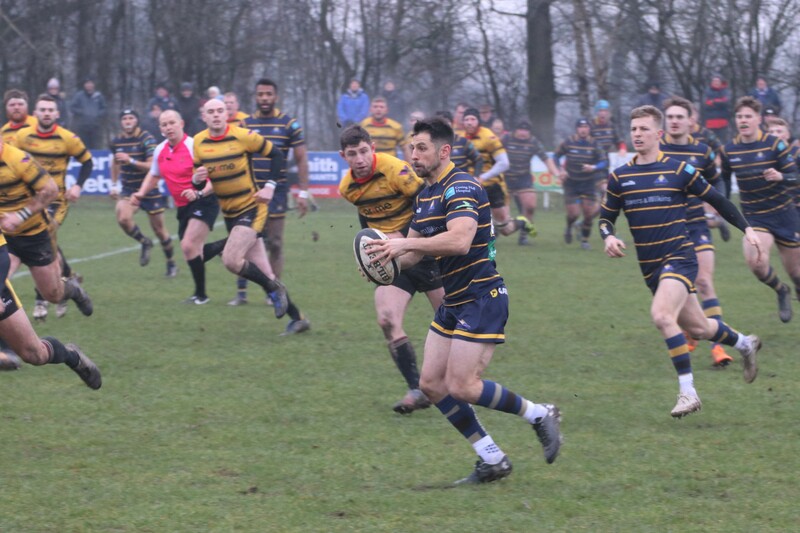 A disappointing result especially for the travelling Raiders’ supporters who had turned up in large numbers. More images are on our Facebook page.